As we outline elsewhere, the macOS menu bar is tremendously useful. 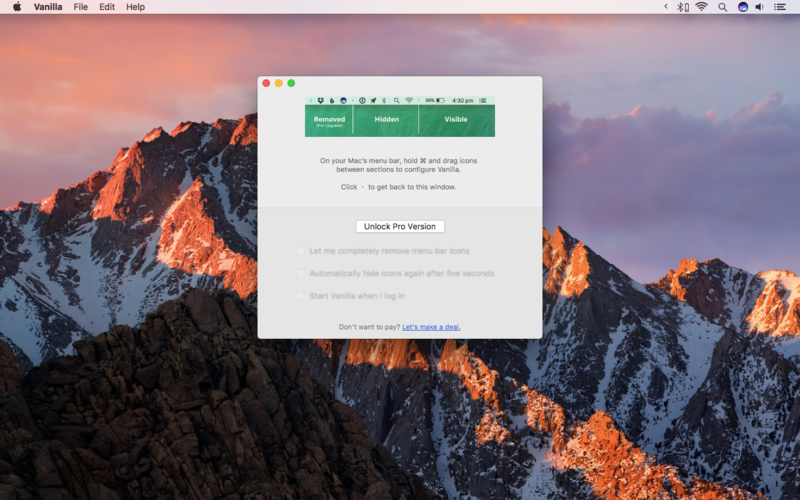 This article concentrates on the bit at the right-hand-side, where you can stash menu extras (also known as status menus) – little apps whose icons you click to access handy controls (and more). 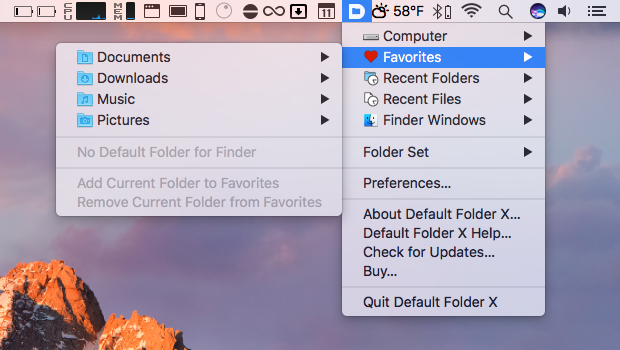 You might have a few there already, since Apple provides some with macOS, but we’re delving into third-party utilities here; the aim is to utilize all that otherwise empty menu-bar space, in order to make you more productive on your Mac. Energy Saver is great, apart from when you really don’t want your Mac dozing off. Amphetamine provides control over your Mac’s sleeping habits beyond what Apple offers itself. 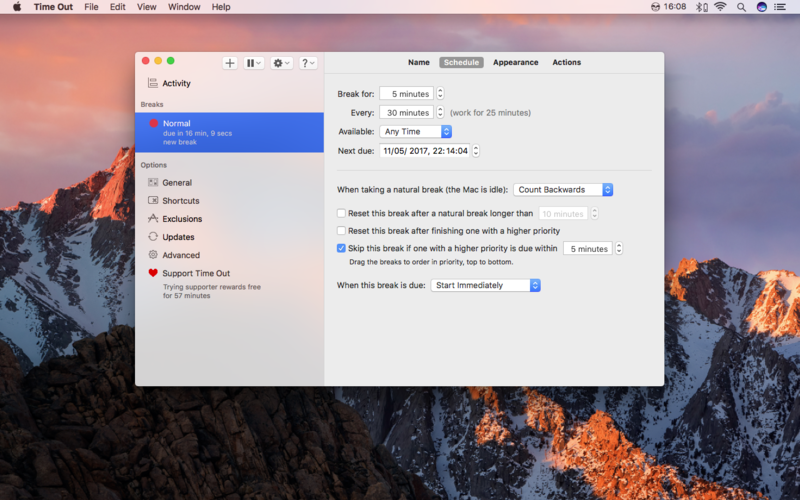 The app can be triggered to keep your Mac awake for a set period of time, or even indefinitely. But delve into the preferences and you can define triggers based on specific apps, and auto-deactivate Amphetamine if your battery’s running low. This one’s an organizational tool for those people with a few too many menu bar extras. On installing the app, you can stash whatever you like in Bartender’s own menu. But there’s more: items can be hidden completely, and apps can temporarily reappear for a few seconds when they update. You can also search within the Bartender menu, to quickly filter your menu extras. This much-loved utility is primarily designed as a radical overhaul for Open and Save dialogs, adding all kinds of handy goodies. But it also comes with a superb menu extra. 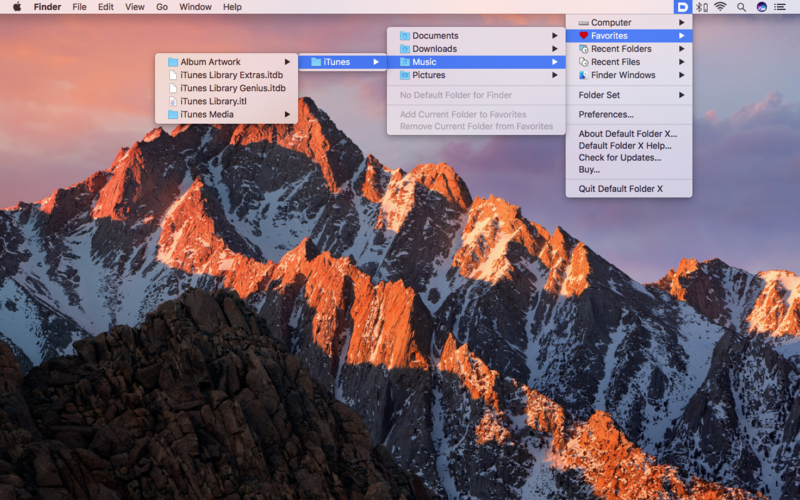 Click it and you can access Finder windows, recent folders, and recent files. You can also rapidly navigate through your entire Mac’s drive structure, from various starting points (such as Home, iCloud, and Documents). The idea behind Dropzone is to make it faster and easier to move, copy, and manipulate files. You drag a file in Finder to the Dropzone icon, whereupon an actions grid opens. This can contain app and folder shortcuts, social media actions, file actions (such as to create a ZIP from a dragged folder), and shortcuts to online servers (FTP, Amazon S3, and Google Drive). 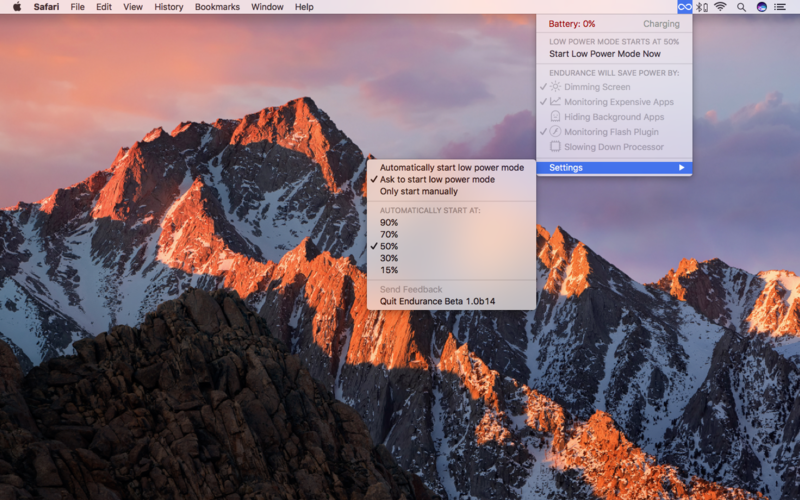 If you find your Mac’s always running out of power, Endurance might give it the boost you need. 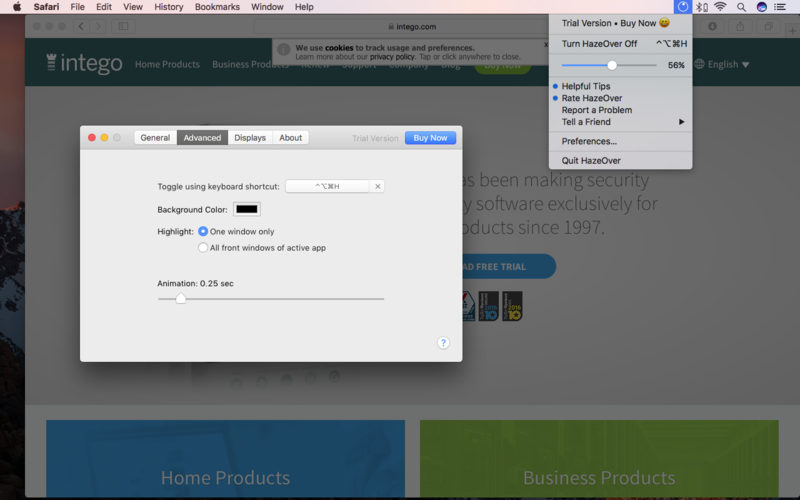 You create a trigger for when the app’s features kick in (such as when your Mac’s battery hits 50 per cent power). You then determine what Endurance does, such as dimming the screen, and quitting greedy apps. 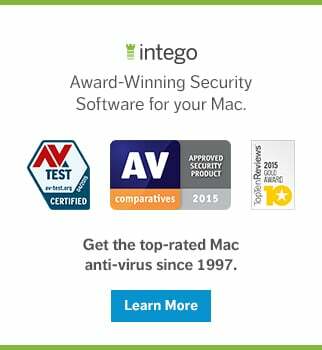 On a typical Mac notebook, this can help your Mac run for 20 per cent longer. 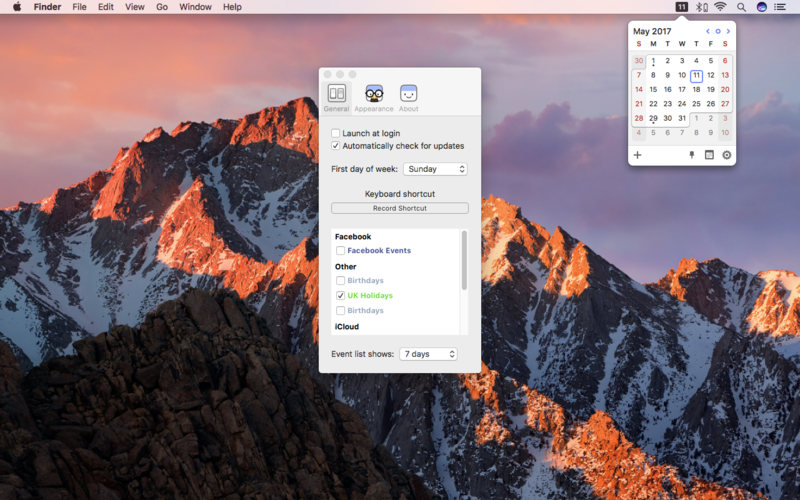 This is an interesting one, because it started out as a menu bar extra before evolving into a full-fledged calendar app. The latter bit mirrors Apple’s own calendar, but has a handy day ticker sidebar. The menu bar bit, though, is great if you need fast access to your events, and it also enables you to build new events ‘live’ by using natural language input. Apple would have people use full-screen mode in order to focus, but that can be a jarring interface, not least when you need to switch between quite a few apps. HazeOver provides an alternative – a kind of dimmer switch that reduces distractions by fading out background windows. Neatly, the amount of fade is controlled by two-finger swiping up or down on the menu bar icon, which turns its little dial. If you’ve ever picked up an iOS device to find it mysteriously dead, before very quickly realizing you’d not actually plugged it in, iBetterCharge is an essential app. 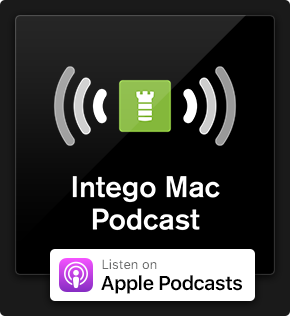 Assuming your devices are set up to use Wi-Fi sync in iTunes, iBetterCharge tracks their power. When they hit a specific battery capacity (or are fully charged up when plugged in), the app will let you know. 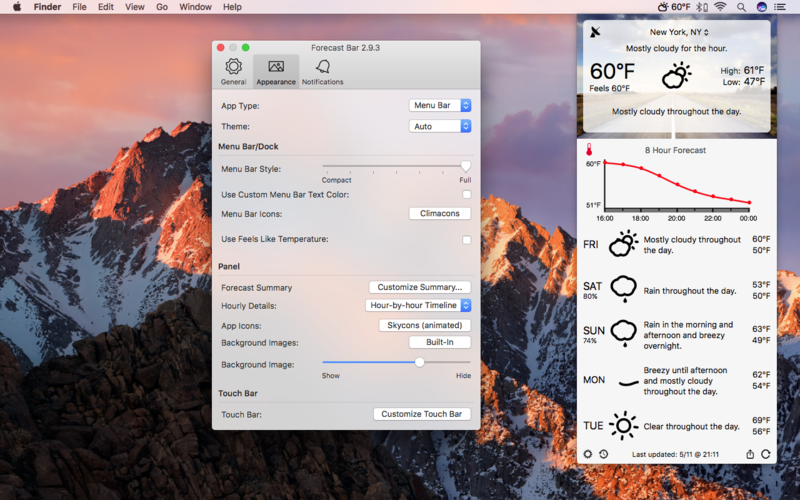 You won’t find a better system monitor than iStat Menus – nor a more convenient one. 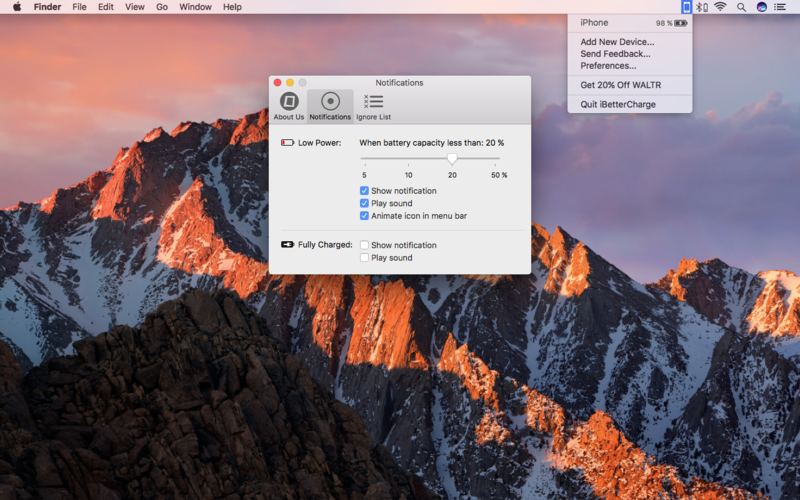 Whether you want to track CPU or memory usage, disk capacities, network and fan speeds, or how your batteries are doing, iStat Menus provides tiny graphs in the menu bar. Click them and they expand into a wealth of info to satisfy even the geekiest user. The app also bundles the best world clock you’ll ever see on the Mac. 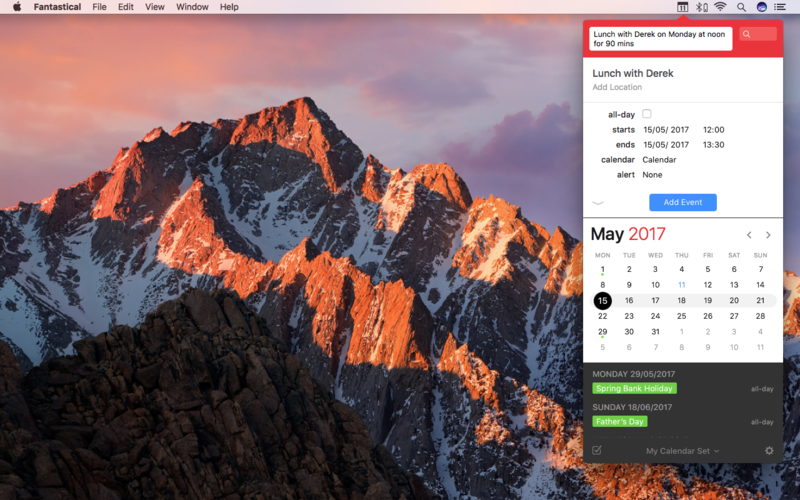 If you like the idea of a menu bar calendar, but don’t fancy spending cash on Fantastical, Itsycal is a smart, free alternative. It sits in the menu bar, displaying the current date (and, optionally, day); click and you’ll see the current month’s calendar. If you like, the app will also list your appointments over the coming days. 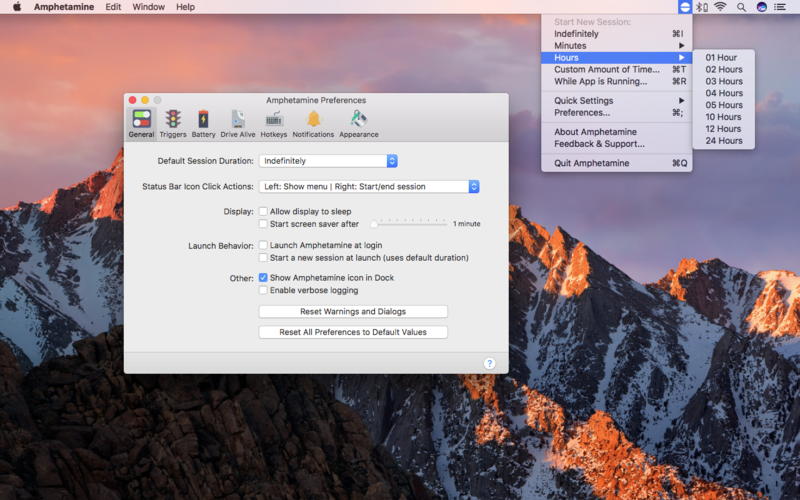 Apple inexplicably stopped enabling you to switch display resolutions from the menu bar a while ago, presumably because it reckons every display should use its most optimal settings. 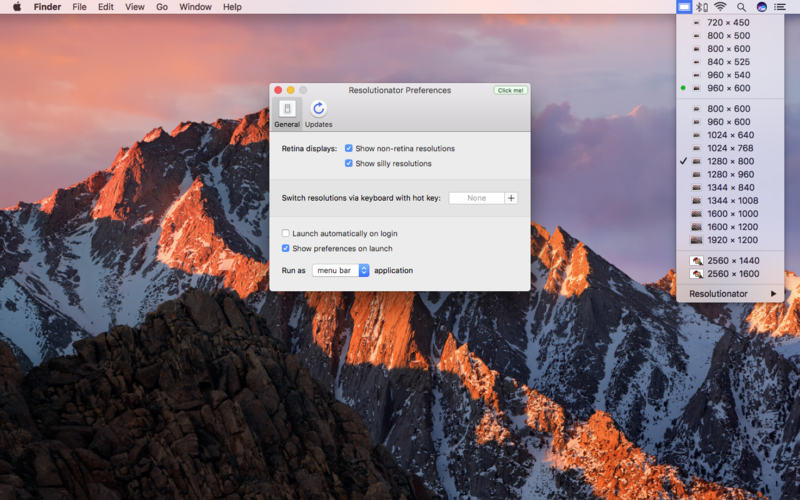 If you need to regularly switch resolutions, Resolutionator does the business. And if you’ve multiple screens, you can change each one’s resolution from within its own sub-menu. It’s easy to get into bad habits when using a Mac. Perhaps you spend time playing games, or get sucked into social networks. Time Out aims to help you focus by cycling work sprints and breaks, along with ‘micro breaks’ for stretching every so often. 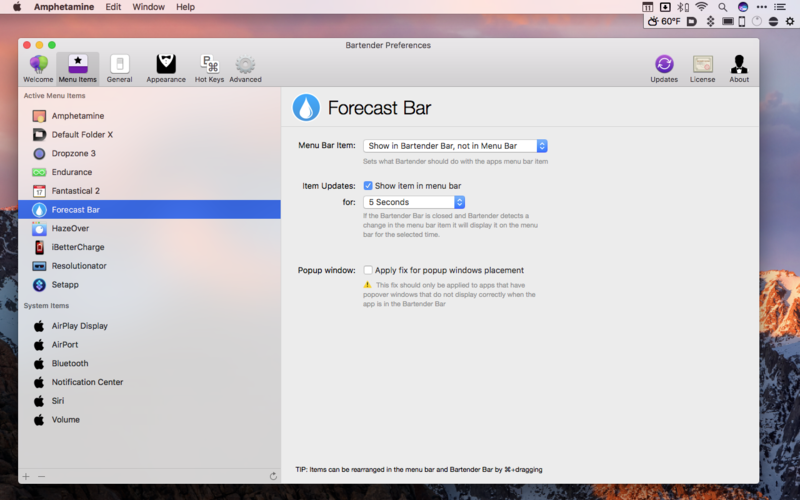 The app itself is free, but you’ll need to subscribe ($0.99 monthly) to use the menu bar component. A simpler alternative to Bartender, Vanilla simply has you place within it the menu extras you don’t need permanently displayed. On doing so, Vanilla collapses, hiding the relevant icons. If you pay for pro, you can set specific icons to never appear, automatically hide icons after five seconds, and always have Vanilla start at login. This utility’s catchphrase is ‘Command-Tab everything’. It’s essentially a replacement for Apple’s app switcher, also enabling you to quickly switch to individual windows. It’s all very configurable, and you can define multiple switchers (for example, if you want one akin to Apple’s, and another specifically for windows). 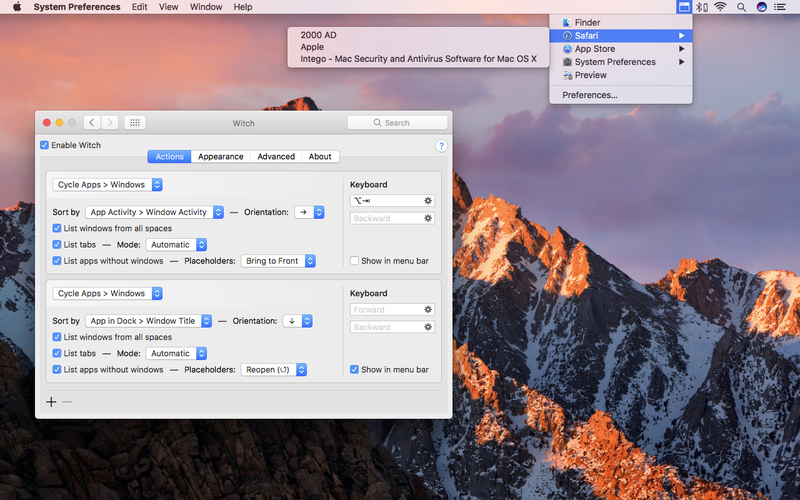 The menu bar component conveniently lists all of the apps you have open, and on selecting a window from one of them will immediately bring it to the front. This entry was posted in How To, Recommended, Software & Apps and tagged macOS Sierra, Menu Bar. Bookmark the permalink.